Practice Makes Perfect! 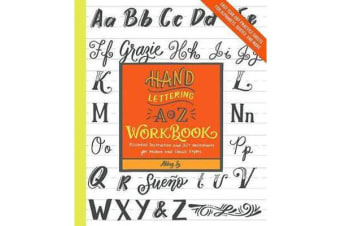 Created by Abbey Sy, lettering expert and author of Hand Lettering A to Z, this must-have companion volume is a super-sized collection of drills, exemplars, and practice sheets for a variety of modern lettering styles, flourishes and other decorative elements, and motivational and inspirational quotes. 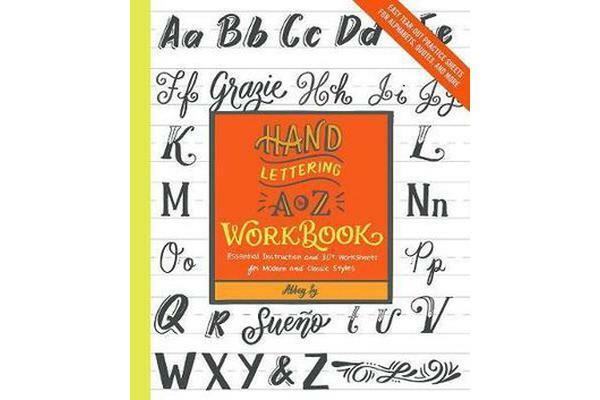 —Find essential how-tos for lettering with graphite and colored pencils, brush pens, fineline markers, and more —Use the guided worksheets to try your hand at several modern styles, from simple to elaborate —Progress to lettering beautiful and inspiring quotes (in English, French, Spanish, Italian, and other languages) that feature a mix of styles and tools —Worksheet pages are perforated so they’re easy to remove and work on Get a worksheet workout and learn, improve, or expand your lettering skills with Hand Lettering A to Z Workbook!